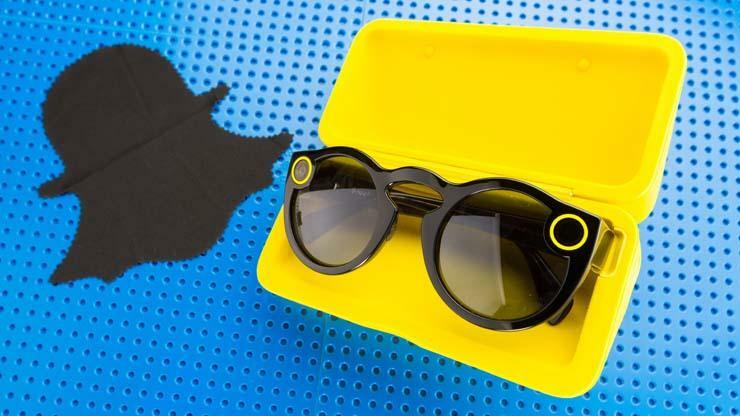 According to the CNET, Snapchat Spectacles can be purchased online — and you don’t have to chase down a vending machine — it’s a lot easier to get your hands on a pair of Specs. If you picked up a pair, know this: There’s a lot more to the sunglasses than you’d expect. Here are 11 tips to help you get the most out of your fancy sunglasses. Your friends are bound to be confused by the blinking circle each time you press record. It’s a good idea to explain to those around you what it means, if nothing more than as a courtesy. Arguably the most important thing to do when sharing videos from your Spectacles is teach your friends what to expect, and how to get the most from the videos you share. You could try using Spectacles to record yourself, rotating your phone while watching a Spectacles video and explaining to your friends they, too, can rotate your videos. Spectacles will record 10-second videos by default. You can cut the recording time short, however, with a press-and-hold of the button before the time is up. Instead of cutting a video short, you can record up to 30 seconds by pressing the button to extend the time to 20, then 30 seconds. You don’t have to wait until the end of the video, you can triple-press the button at the start to record a 30-second clip. Why is the light blinking on the inside? You’ll notice a light on the inside of the Spectacles when you’re recording. It starts off solid, then blinks when there are two seconds of recording time left, giving you a chance to extend the recording. If you have an iPhone, it’ll take a couple of extra steps to get the HD versions of videos. When viewing your Specs recordings in the Snapchat app, tap Get HD near the top. When prompted, leave Snapchat and open the Settings app. Go to Wi-Fi and tap the Spectacles Wi-Fi network, then return to the Snapchat app. Android users don’t have to take these extra steps — Snapchat will import HD videos by default. From Snapchat’s main screen, swipe down and tap the Settings icon, then select Spectacles. On this screen you can clear stored videos, view battery status, change the name, restart or reset your Spectacles. At any time you can lightly double-tap the left side of Spectacles, just below the recording button. The circle will light up, indicating how much juice is left. According to Snapchat, you can share your Spectacles with a friend without exposing your videos, and vice-versa, after your friend is done. Before handing them over, make sure all videos are synced to your phone. Once that’s done, your friend can pair Spectacles with his or her phone and Snapchat account. When it’s time to reclaim your Spectacles, you can pair them with your phone again. I tested this and found I couldn’t see the other user’s videos, and she couldn’t see mine. Impressive, if you ask me. When viewing a video, tap on the share button to save it to your Photos app or camera roll. Keep in mind, videos shared outside of Snapchat won’t look or work in the same manner — they will look like the video above (see it here if it doesn’t appear). You can record video with Spectacles while holding them in your hand or after you’ve put them on a table. Get creative, and have fun! If your Spectacles are acting weird for whatever reason, you can reset them. Whether you want to let a friend borrow your Specs or you plan to sell them, don’t forget to clear the storage first. Next articleHow to delete your Uber account?